The tower is one of 10 follies built in the grounds of St Annes Park, Raheny.It is a beautiful building perched overlooking the duck pond. Despite its size and the fact that I live near the park and visit it nearly every week I always seem to have a difficulty finding this neoclassical tower. It was built by the Guinness family in the 1800’s and was originally part of the main house. It was shifted to its current location in 1878 during a refurbishment of the house. It was designed it the style of Mausoleum of the Julii and in recent years much of the fine detail on the three segments of the tower has been obliterated by graffiti and vandalism. 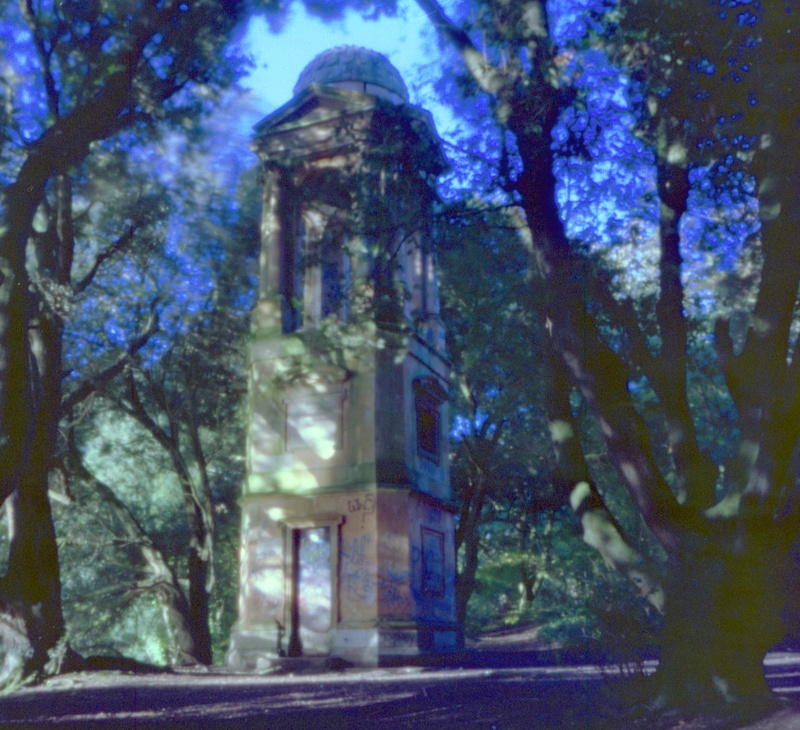 There is an ongoing discussion locally about the preservation of the follies in the park and I hope that some efforts are made to protect and restore them.